The Salar Jung Museum is one of India's most prized historic institutions, preserving a huge range of ancient academic journals, rustic weaponry and precious royal items from throughout the ages. Examine the intriguing collection of objects amassed by one globetrotting explorer. Salar Jung was an adventurer who travelled the globe in the 19th and 20th centuries, collecting souvenirs of his travels. This museum was built in 1951 to house his accumulation of European and Asian relics. Browse the exhibits, which are categorized by region of origin. The Indian section includes textiles, stone statuettes and jade carvings from different periods throughout India's history. Note the influence of Mughal culture on many of these relics and delight in a beautiful jade rehal (book stand). There is also a collection of miniature paintings from the 14th century, while ancient manuscripts relating to academia and religion feature between display cases. In the Eastern Section, see objects from Syria and Persia, including carpets, ceramics and ornate lacquered furniture. Explore the adjacent rooms, which hold a collection of precious porcelains, enamel homewares and wood prints that originated in Japan. Step into the Western world with an exhibit of European statues, oil paintings and handmade clocks. Featured here is the Veiled Rebecca, a marble statue that was collected by Salar Jung I during a trip to Italy in 1876, and a set of ivory chairs that were owned by King Louis XVI of France. To learn more about the significance of the objects on display, rent an a audio guide, available in English, at the museum entrance. Take kids to the children's section, which is designed to entertain as well as educate kids about the quirks and wonders of Indian history. Find the Salar Jung Museum on the southern bank of the Musi River near central Hyderabad. There is an admission fee and an additional fee if you take photos. 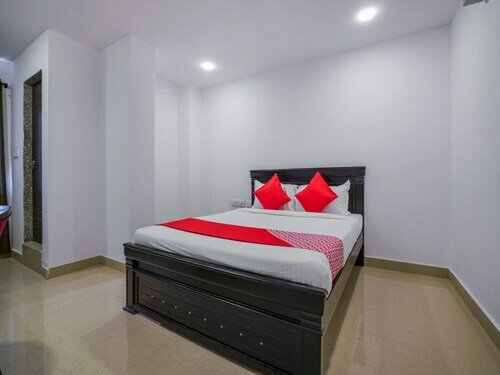 Situated in Hyderabad, this hotel is within a 15-minute walk of Salar Jung Museum and Charminar. Abids and Chowmahalla Palace are also within 1 mile (2 km). Hyderabad Dabeerpura Station is 21 minutes by foot and Hyderabad Malakpet Station is 30 minutes. 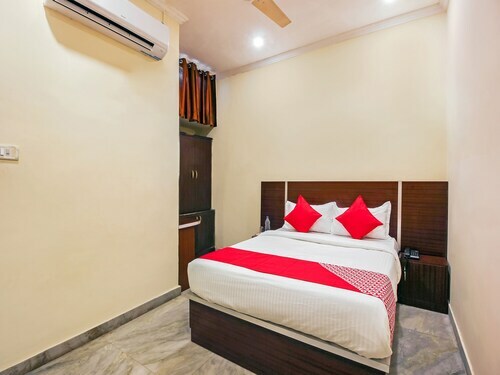 Situated in Hyderabad, this hotel is within a 15-minute walk of Salar Jung Museum and Charminar. Abids and Chowmahalla Palace are also within 1 mile (2 km). Hyderabad Dabeerpura Station is 20 minutes by foot. 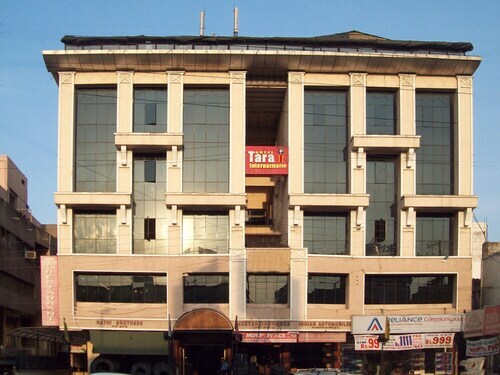 Situated in Hyderabad, this hotel is within a 15-minute walk of Salar Jung Museum and Abids. Charminar and Chowmahalla Palace are also within 2 miles (3 km). Hyderabad Dabeerpura Station is 27 minutes by foot. 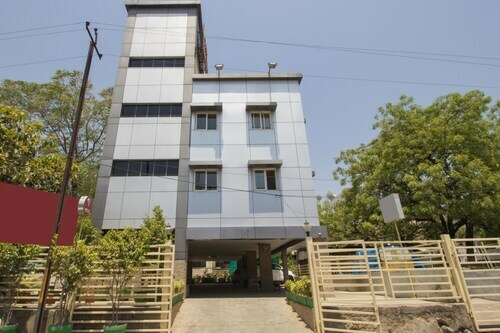 Situated in Hyderabad, this hotel is within 2 miles (3 km) of Abids, Charminar and Salar Jung Museum. Nehru Zoological Park and Chowmahalla Palace are also within 3 miles (5 km). Hyderabad Deccan Station is 29 minutes by foot. 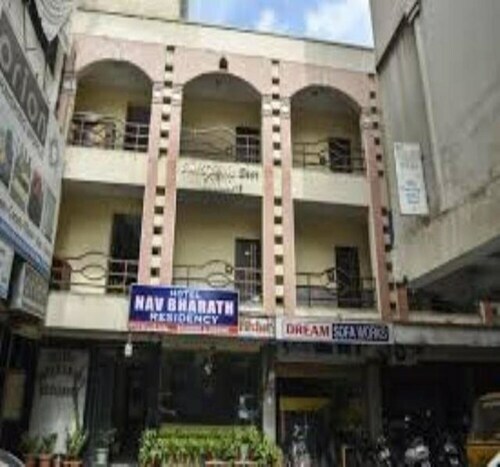 Located in the heart of Hyderabad, this hotel is within 1 mile (2 km) of The Nizam's Museum, Charminar and Abids. Salar Jung Museum and Chowmahalla Palace are also within 2 miles (3 km). Hyderabad Deccan Station is 28 minutes by foot. 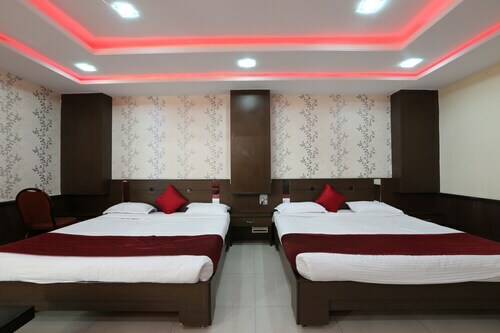 Situated in Hyderabad, this hotel is within 2 miles (3 km) of Abids, Charminar and Salar Jung Museum. Chowmahalla Palace and Birla Mandir Temple are also within 3 miles (5 km). Hyderabad Malakpet Station is 26 minutes by foot and Hyderabad Deccan Station is 29 minutes. 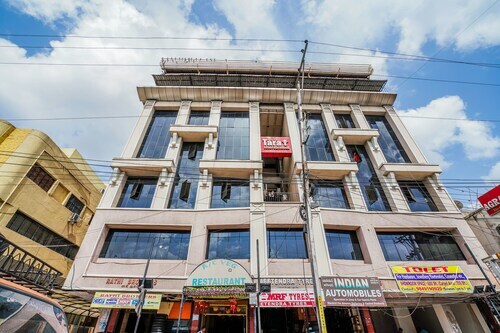 Situated in Hyderabad, this hotel is within 2 miles (3 km) of Abids, Charminar and Salar Jung Museum. Chowmahalla Palace and Hussain Sagar Lake are also within 3 miles (5 km). Hyderabad Malakpet Station is 23 minutes by foot.